Fitness wellness super hike: Preikestolen, Norway. 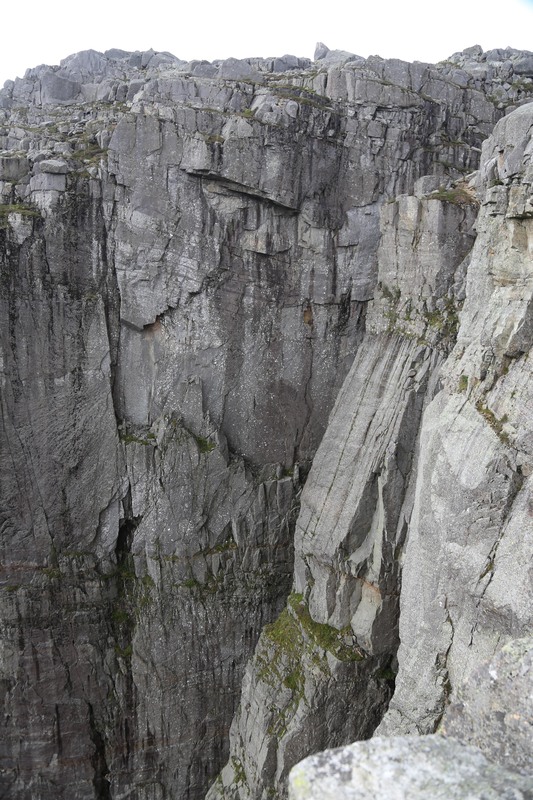 and massive cliff 604 m (1982 ft) above Lysefjorden in Ryfylke, Norway. One of the most popular tourist attractions of Stavanger. My husband had seen a picture of Preikestolen, which he wanted to photograph. I knew of it, but reckoned it to be out of our immediate way. However he persisted. So at around 7:30 in the morning, right after we had gotten of the ferry from Denmark, we took the Norled ferry from Stavanger to Tau, 30-40 minutes of sailing (time tables at norled.no). From Tau we drove by car towards Sandnes along route 13 for 30 km. 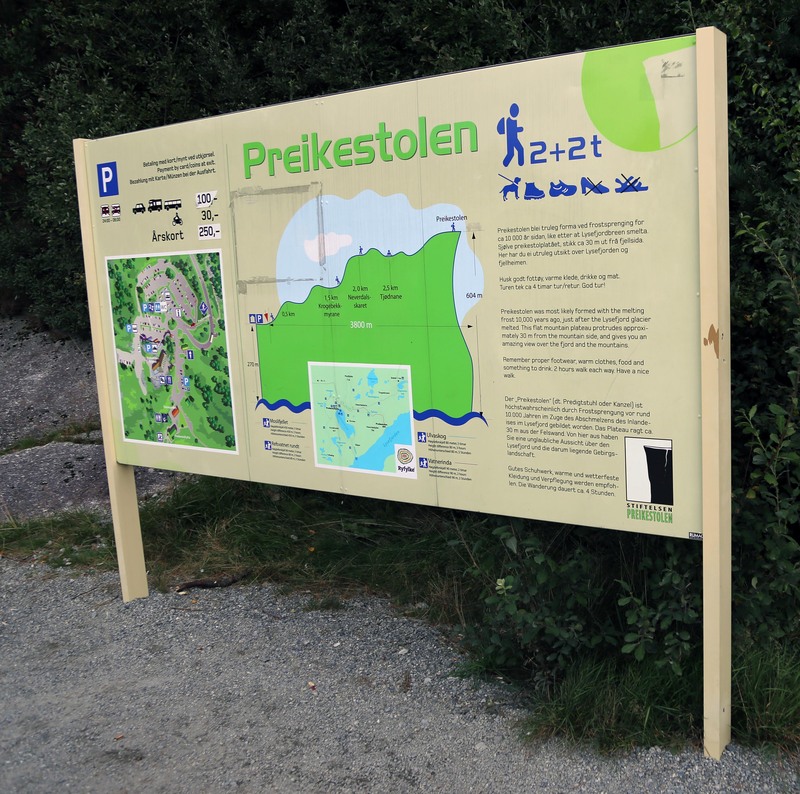 We followed the signs to the Preikestolen parking (expensive), which is 270 meters a.s.l. 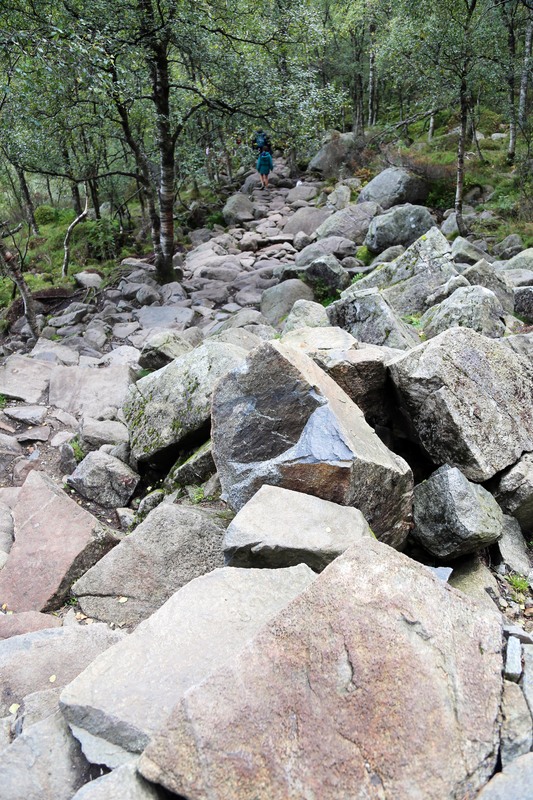 My husband had read on the internet, that it was a 1 hour walk (2 hour return trip) to get to the Preikestolen. Seemed realistic enough for a 3.8 km (2.4 mile) walk. However, as we found out ourselves – and from later reading other descriptions on the internet, surprise: The trip takes 2-3 hours out and 2-3 hours back. A little less if you are very fit and a whole lot longer if you are unfit. The ‘walk’ is highly inadvisable, if you have any kind of disability or very short legs. 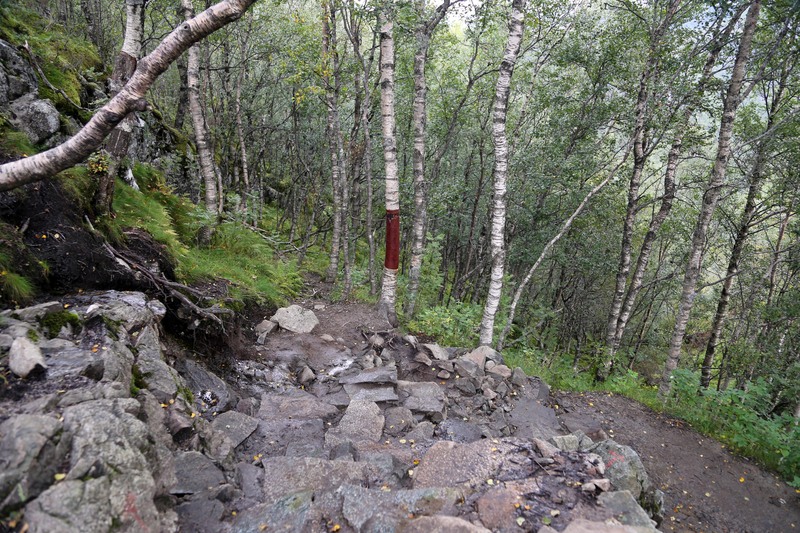 The path is mostly gravel and rocks and some steps, which are really rugged rocks. 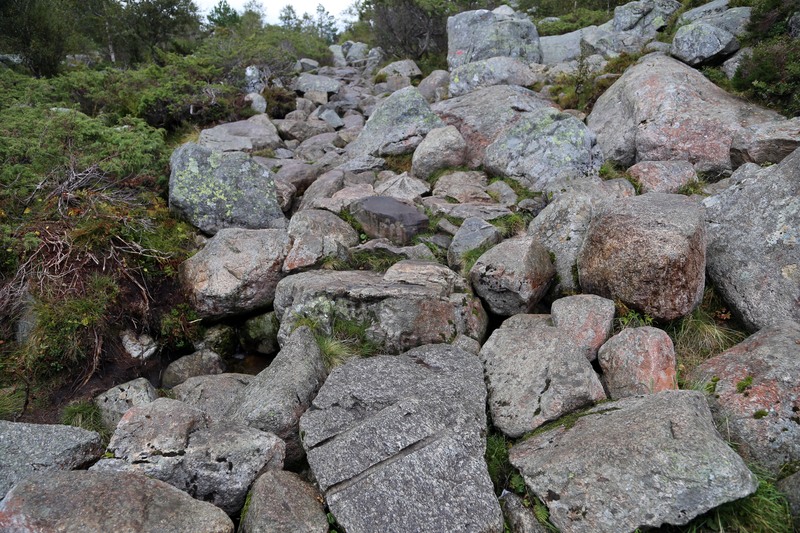 In a few places there is just the bare rock or in 3-4 places wooden paths. 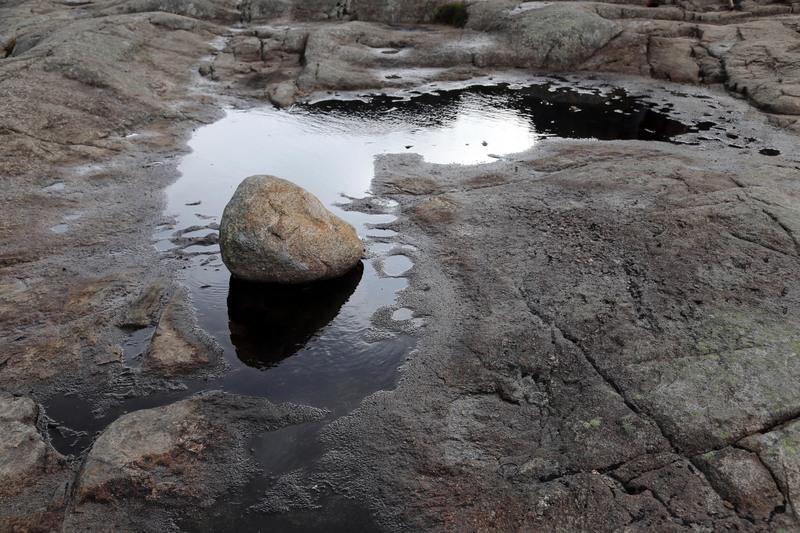 In some places it can be hard to see, where you are going, but look for red T’s painted on the rocks. Outbound the walk is mostly up-hill by steep rock boulders interrupted by just a few flat parts. The ascent has a 330 m (1080 feet) height difference. And apart from one place only there are no railings. Going down is almost as difficult, because you have to watch your steps carefully in order not to slip on or step between the rocks. You are strongly advised to 1) go out very early in order to get back before the dark), 2) wear proper hiking/climbing shoes and also 3) bring a snack and some water. There are no bars or restaurants (or toilets) along the way … and there is no easy way down (no steps or escalators), so save some energy. In rainy weather (my luck), the rocks are very slippery, so extra attention is needed. It is a strenuous walk to the top, so some celebrate arrival in style: Champagne! 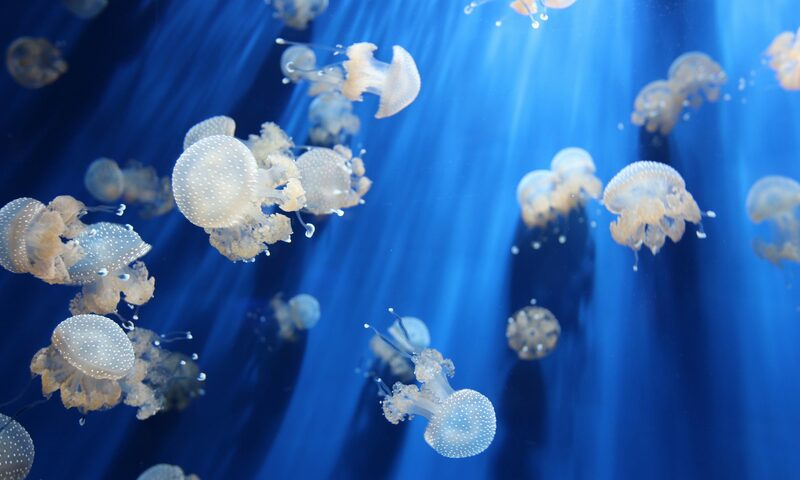 (Though I think it is unwise to go overboard, if you want a safe return …). 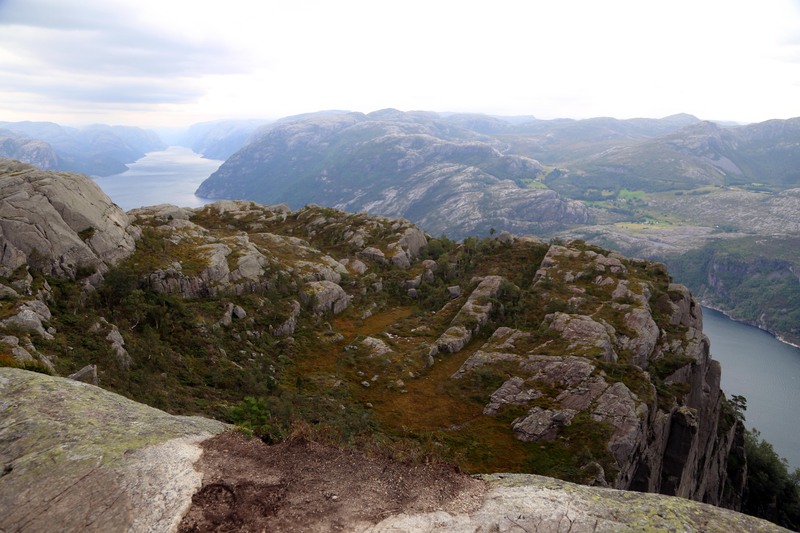 There is a wonderful view of Lysefjorden and surrounding mountarins, but just as good: It is an absolutely magnificent and exciting hike, and excellent exercise – outdoor fitness – too! This walk/hike is highly recommended, nature at its very best; dramatic and intense. 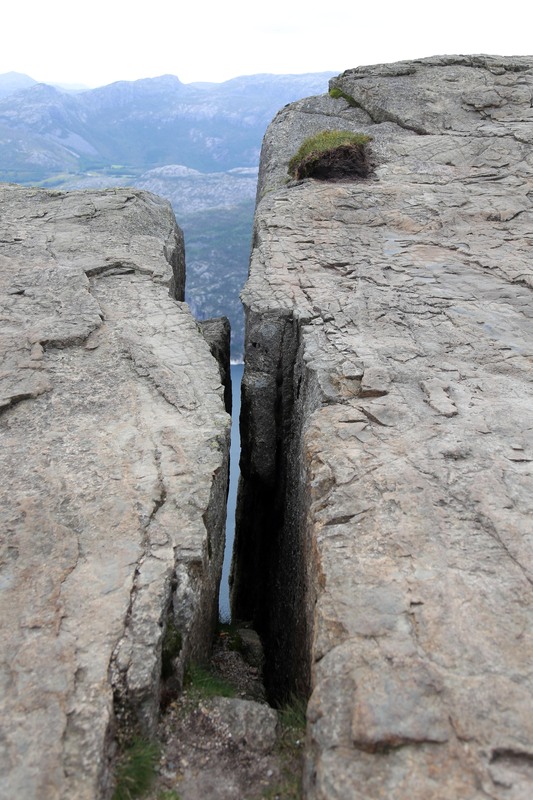 And if you can’t get to Preikestolen, then just take a walk and a big inhale. Previous PostPrevious Slimming sensation: 100 % guaranteed weight loss with the 7:0 diet! 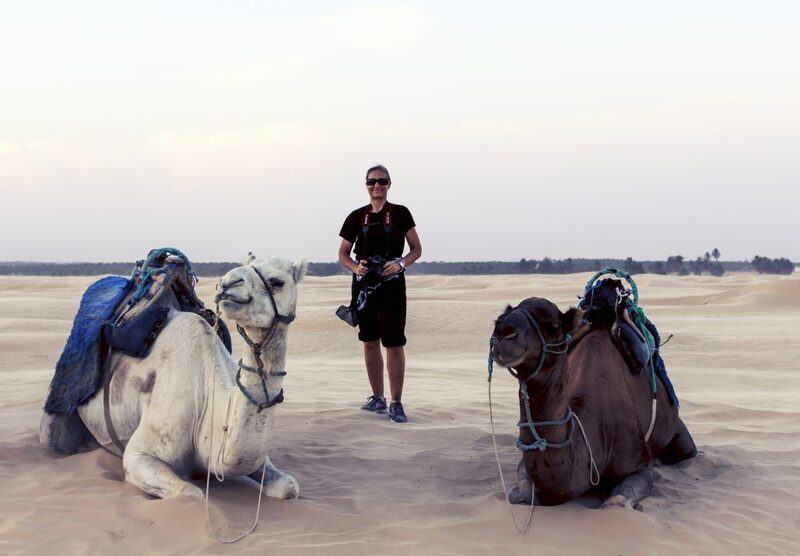 Next PostNext For your fitness and wellness: Collect new and different (exercise) experiences!